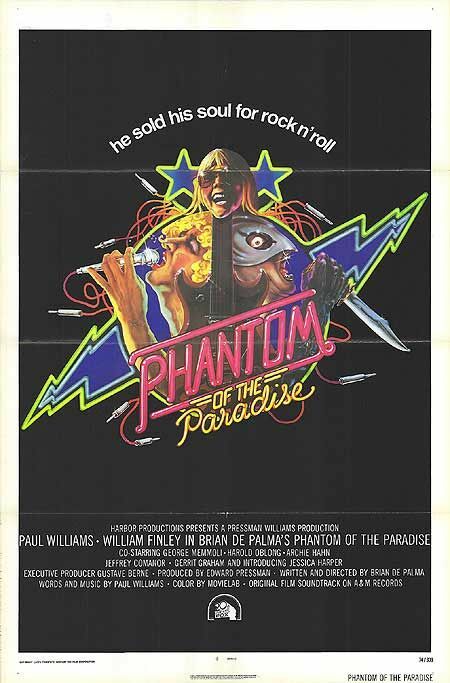 Horror-comedies are a favourite genre of mine too, and Phantom may well be my top favourite movie of any genre. The pacing, all the different elements of style, design and above all performance just come together so well. I completely agree with your views on Paul Williams’ songs, and the performances etc. I’m in love with William Finley from this film (I also think he did a bang-up job in Sisters, which I also love quite a bit). Rewatched Phantom last night with my sister and her boyfriend (who hadn’t seen it but appeared to like it), in memoriam of Finley. I dearly regret he was not in more large/great roles.